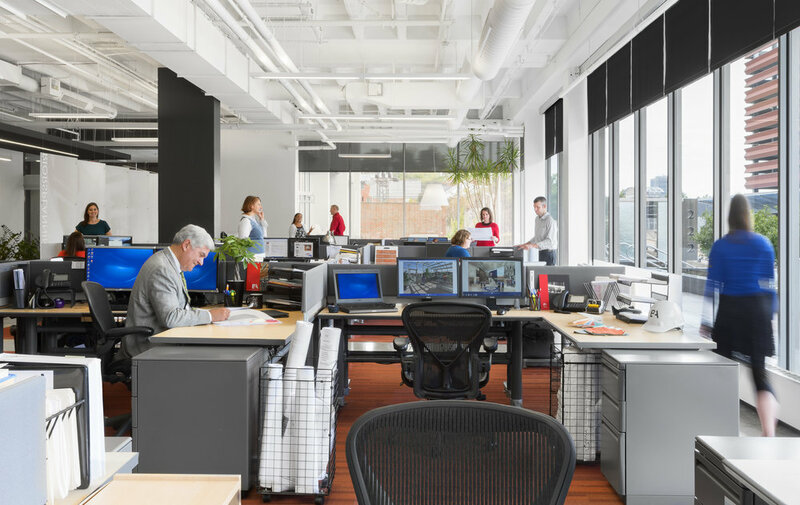 An open, collaborative environment is key to Bond Architects’ team-oriented culture. Staff work together in a variety of spaces to suit every need, whether it be a meeting with clients in a large conference room or a one-on-one chat at a cozy corner table. 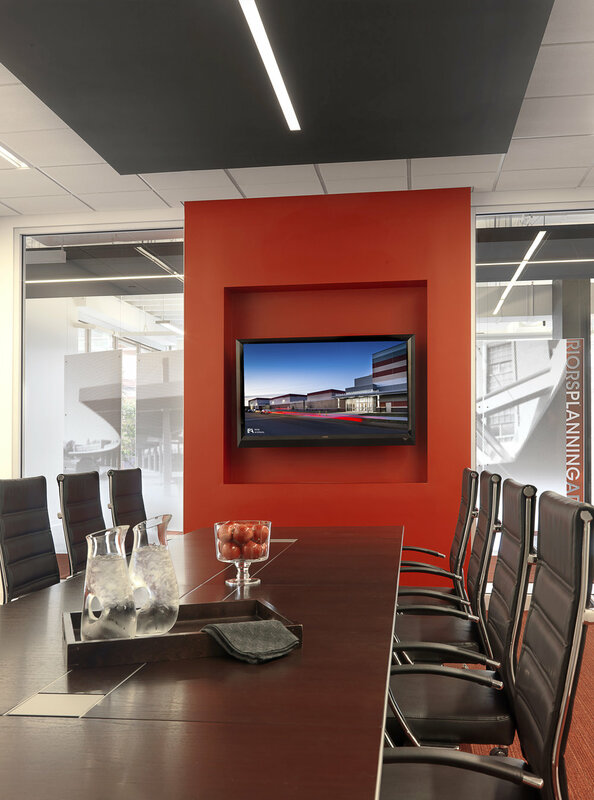 Bold red highlights, inspired by the firm’s branding, are featured throughout the space to draw attention to architectural features. The open office environment features long, linear elements in the ceiling and carpet treatments, along with tall vertical expansions of concrete and glass. Heavy emphasis on natural daylighting is seen throughout the space. A flexible, multipurpose area complete with a whiteboard wall serves many functions, accommodating a variety of events such as informal staff meetings, client workshop sessions and large receptions. The collaborative environment carries over into the staff break room and kitchen area, complete with complementary snacks and beverages. Oversized graphic panels suspended from cables featuring firm projects frame a striking entrance to the space. Bond Architects transformed the former dark, dated bank building into an iconic, prominent feature on Clayton’s Central Avenue.